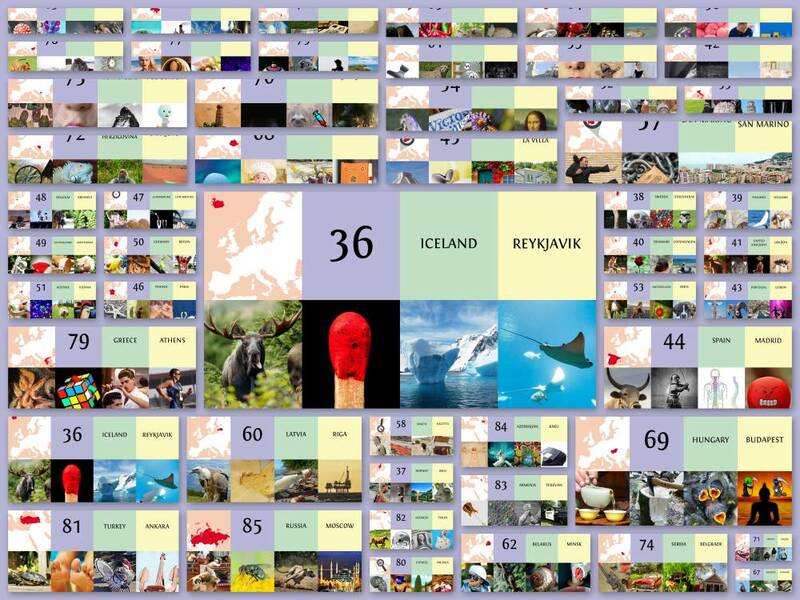 Welcome to our great collection of beautiful Countries and Capitals digital training cards. With our second Class you can remember all Countries and Capitals of Europe in one of the easiest way we know today. It contains a complete set of 100 unique digital training cards. 50 of them are labelled with explanations to simplify the learning process. The other 50 training cards are for repeating. You can use them to train alone or in a group. Welcome to our great collection of beautiful Countries and Capitals digital training images. 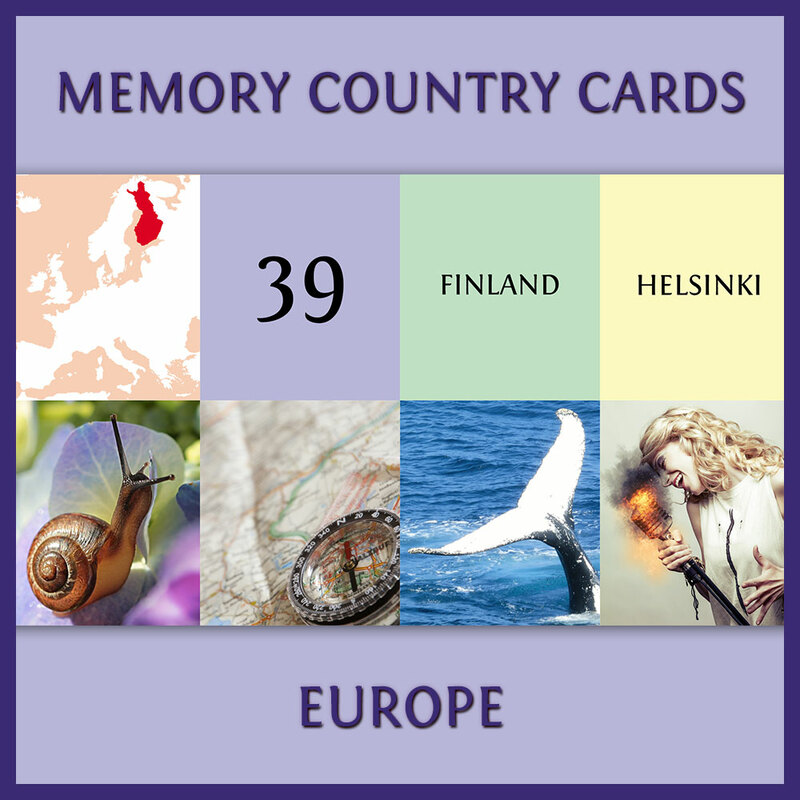 With our second set in this series you can remember all Countries and Capitals of Europe in a playful and easy way. It contains a complete set of 100 unique digital training images. 50 of them are labelled with explanations to simplify the learning process. The other 50 training images are for repeating. You can use them to train alone or in a group. If you are a teacher or memory coach you can use these cards in your classes with your students. Help them to make their learning experience much more exciting and beautiful. If your students would like to own these cards themselves, they have to buy them individually. If you want to print it, we recommend you to use the attached pdf file for it.